For some reason I'm liking the Lego game trailers, I really don't know why and I don't even like buying all that overpriced plastic bricks in the first place. Or maybe it's the sense of humor that goes with all the character's dialogues and stuff. 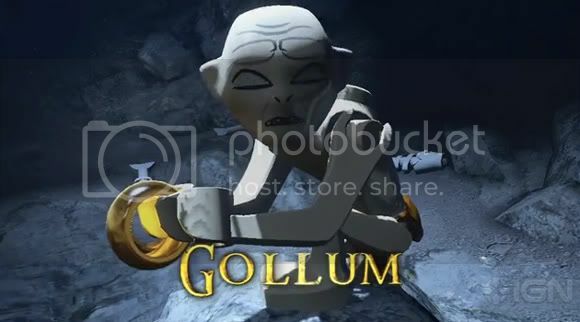 Anyways, I'm glad to finally see the Lego Lord of the Rings version of Gollum, and still that supposed ring they have in the game still looks more like a bracelet to me. But if you have a couple of minutes of your life to watch a game trailer of middle earth made of bricks then just head on to the break and probably get a few chuckles.